I love this poster! The colors, the books, the house…it’s all so magical! I have high hopes for THE HOUSE WITH A CLOCK IN ITS WALLS, and I don’t think I’ll be disappointed. 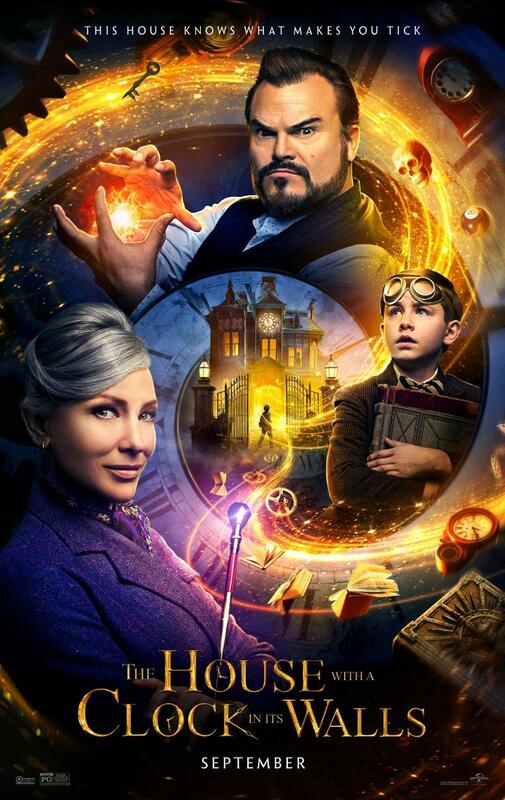 Based on the beloved children’s classic written by John Bellairs and illustrated by Edward Gorey, The House with a Clock in Its Walls is directed by master frightener Eli Roth and written by Eric Kripke (creator of TV’s Supernatural!!!!! That is me adding all those exclamation points!!! I love Supernatural.). I love the cast of characters and the trailer is very interesting. I will be watching for this film.